Heavy floods took three lives, including 11-year-old child. A state of emergency have been announced in Odessa region amid heaviest storms that torment the area, the head of the Odessa Regional State Administration Mikheil Saakashvili said on Facebook. He said the collapse of trees and power lines caused by strong winds took the lives of three locals, including a 11-year-old child. More than 100 villages have been cut off electricity. "We recommend to cancel classes in schools and limit turnout in public institutions in all areas affected by the disaster, except for emergency services and citizens who provide vital activity in the areas affected by the disaster," wrote the head of Odessa region. Saakashvili once again called on Odessites to refrain from leaving the house until the wind subsides. "Despite the difficult conditions, emergency crews are working to restore electricity supply. Tomorrow I intend to visit all the areas and engage into the recovery works, " Saakashvili assured. 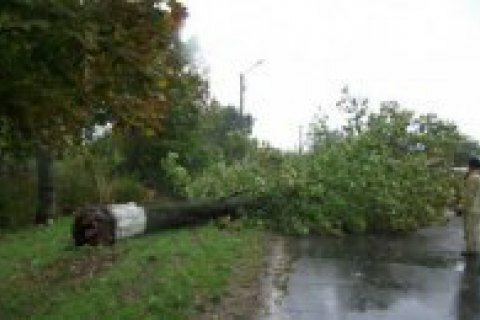 Earlier, two people were reported dead, three rushed to hospitals because of the storm in Odessa.